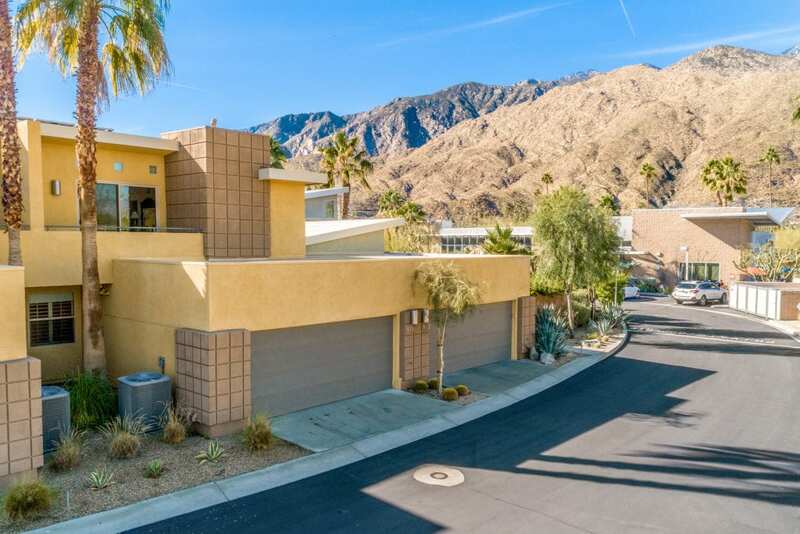 Dramatic loft living in South Palm Springs @ Oceo. 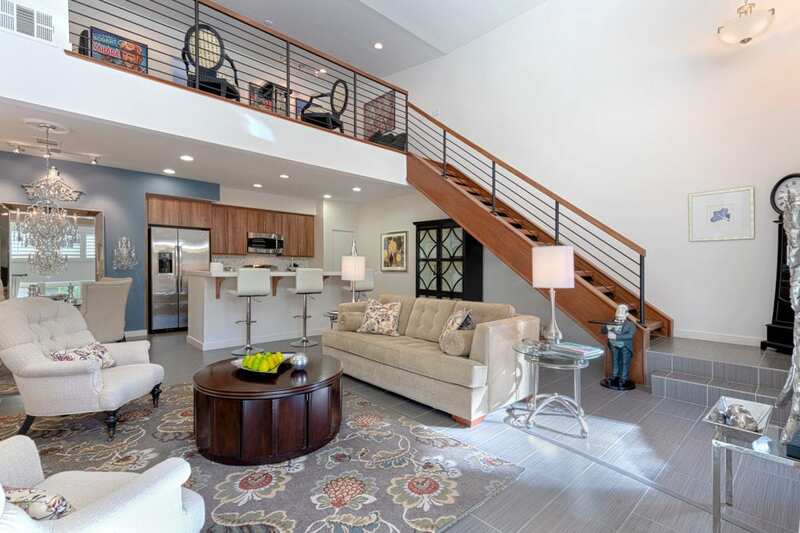 Just one of 34, this loft style home offers privacy and a premier location in South Palm Springs. Open living concept with kitchen, dining area and living room with fireplace is the gathering space. Large windows and dramatic ceiling heights bring the the private and inviting pool and spa area inside. The kitchen has solid surface counters with light accent tile back splash. Up the architectural staircase to the master bedroom area the flex space at the top of the stairs could be used for an office, lounging area, media area, exercise area or perhaps a place to meditate. The master bedroom has a private balcony and over sized shower with west facing square porthole windows adding the light and airy feeling. The property has an additional bedroom and guest bath downstairs, laundry facility and direct access to the two car garage. Pooled solar panels further the energy efficient operation of this home in South Palm Springs.